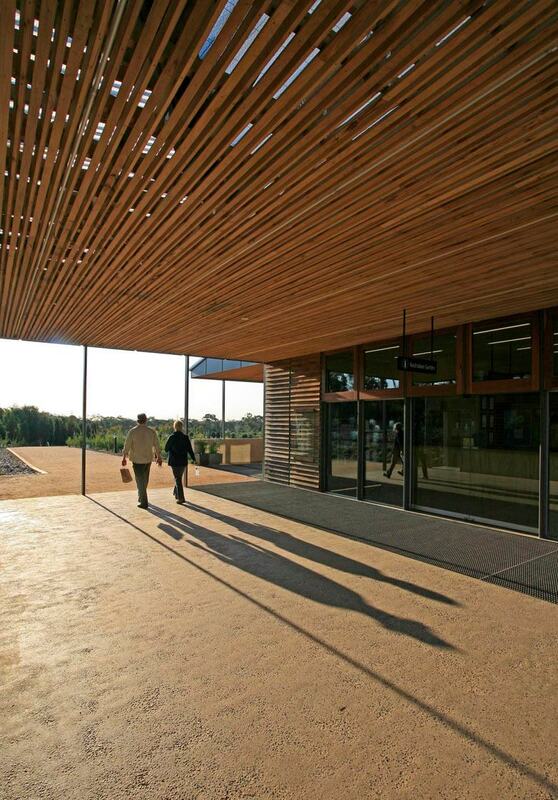 Our vision for the Visitors’ Centre at Cranbourne expresses three themes: Journey, Threshold and Prism. 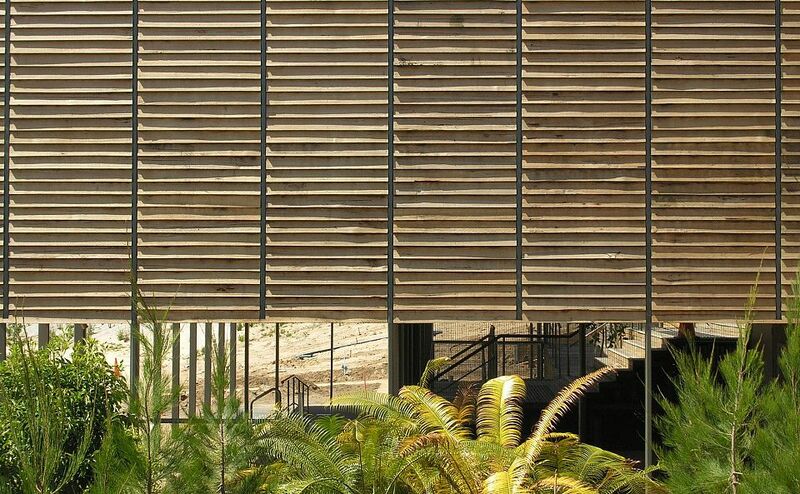 The Visitors Centre is more than a building: it is an inviting and protective sequence of interiors and of intimate gardens that together form an intriguing entry sequence, a threshold. 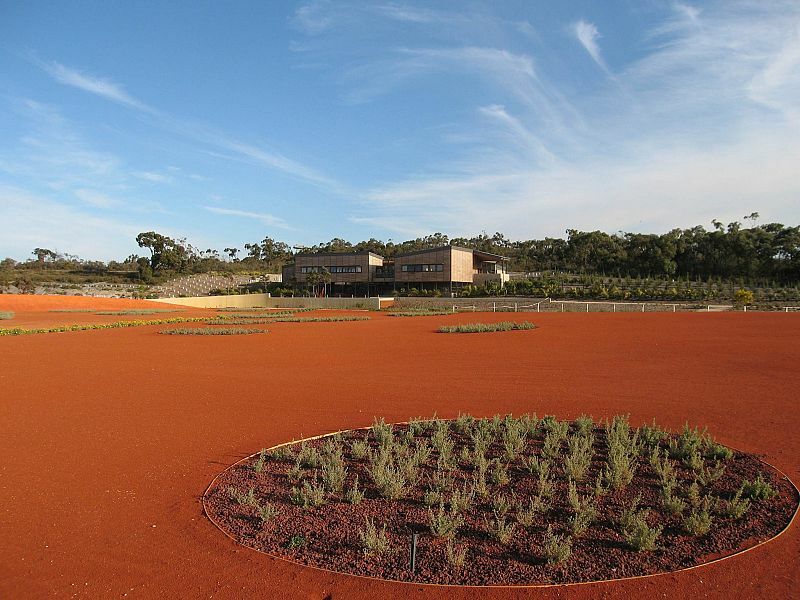 Rather than an object in the landscape our integrated design produces a prism; a means by which visitors will see, and begin to move through and occupy the space that is the Australian Garden. 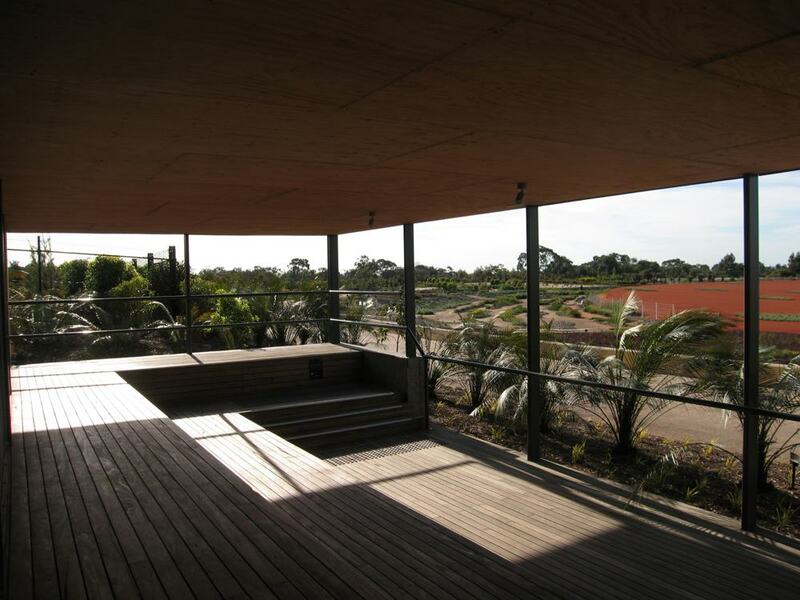 The role of architecture in this project is to frame the landscape, to be a backdrop to and an extension of the Garden. The buildings are prisms in that they provide a way of apprehending the diversity and richness of the Australian landscape. 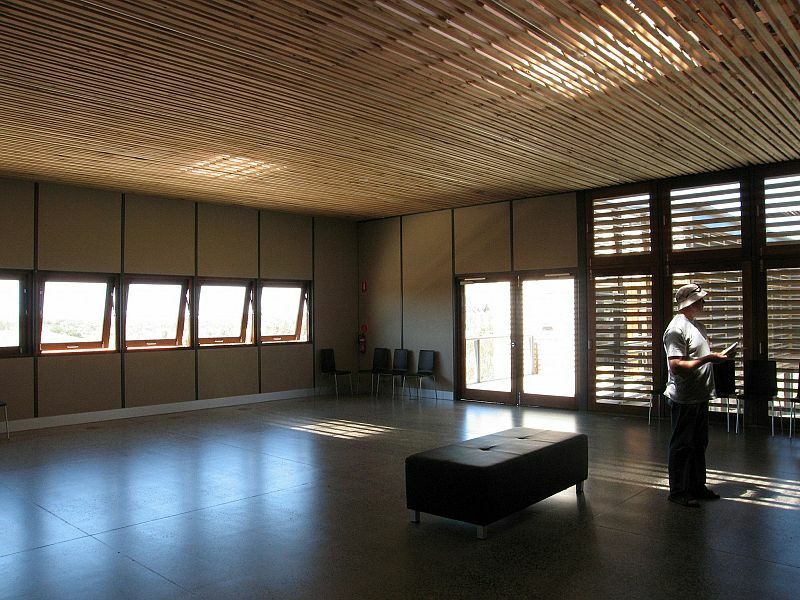 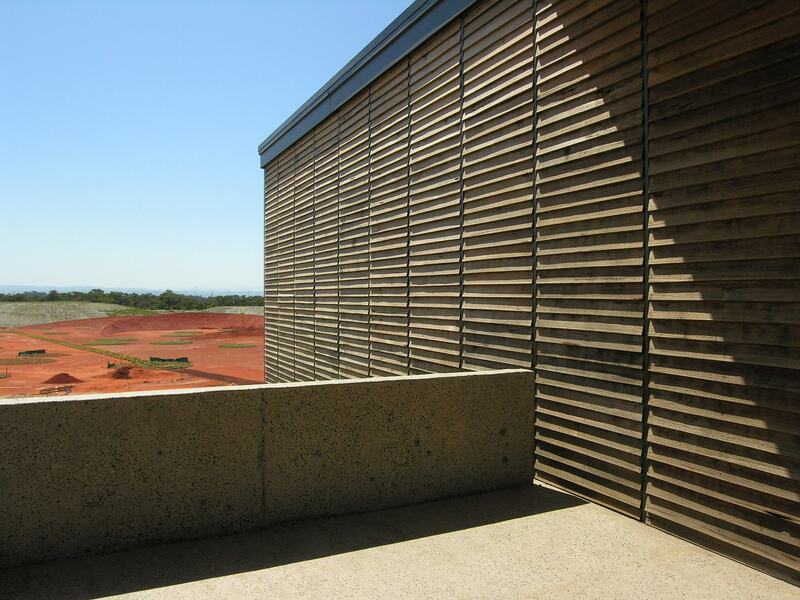 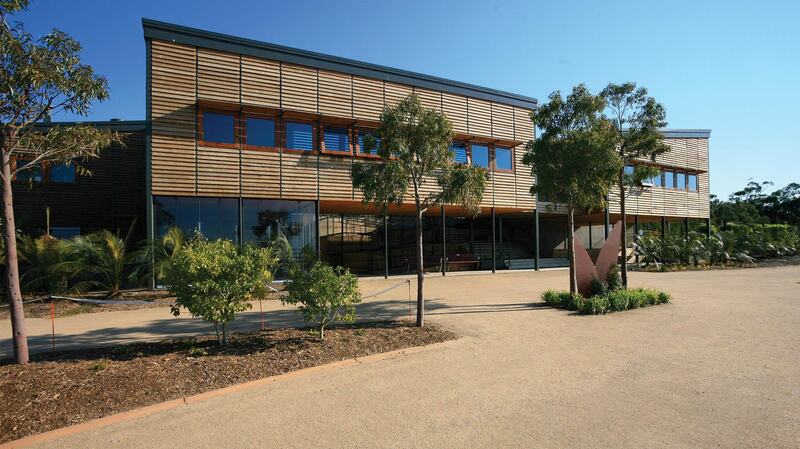 Our palette of materials consolidates this vision – weathered timber boards both allow the buildings to recede and provide a canvas against which to see the changing shape, colours and shade of the plants that are unique to an Australian sense of place. 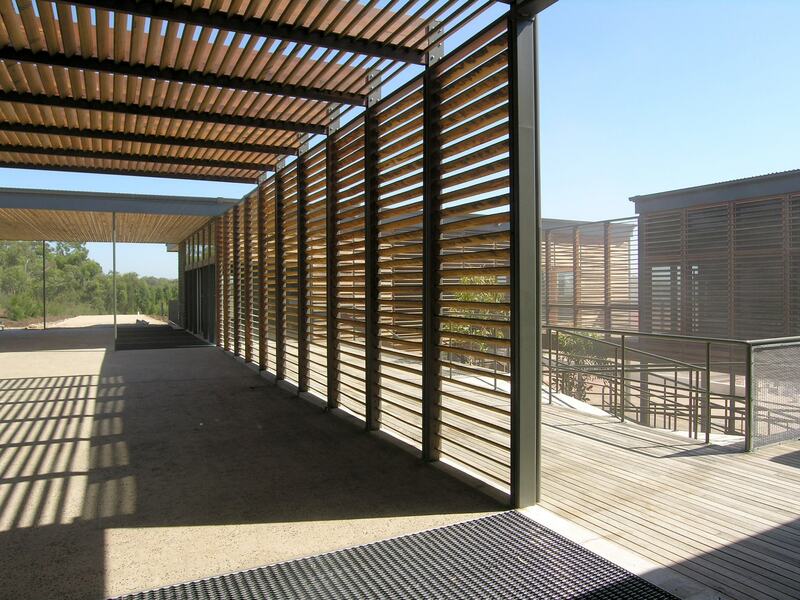 Our interiors are like verandahs, perimeter spaces that enable the maximum interface between inside and outside; breathing and porous, open and protected the building will change with the seasons as it responds to climatic variation.